Now 2017 isn’t that far away and I will do my best to experience the eclipse and take some pictures of the eclipse. Recently, I had a chance to practice, as there was a partial solar eclipse of about 70% in Southern Germany on March 20. I did a lot of research, especially because I didn’t want to damage my eyes or my camera sensor. The picture here is of the peak eclipse. 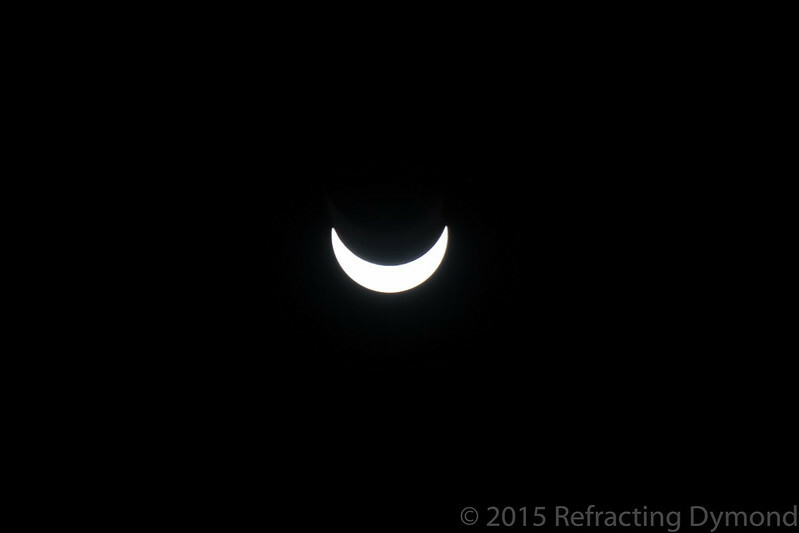 I had a neutral density filter 14 on the lens, which was zoomed out to 250mm. The aperture was as small as possible and the shutter speed as fast as possible. The autofocus didn’t work, so I had to manually focus. Of course, I needed a tripod and used a remote shutter release. Now this seems obvious in retrospect, but it surprised me at the time – the sun moves fast. I needed to adjust my camera about every 1-2 minutes to keep the sun in frame. In post processing, I just took the highlights down a bit and increased the sharpening. I cropped the picture to make the sun look bigger as well. I was happy with the results, even if it looks like the Cheshire Cat was grinning at me.